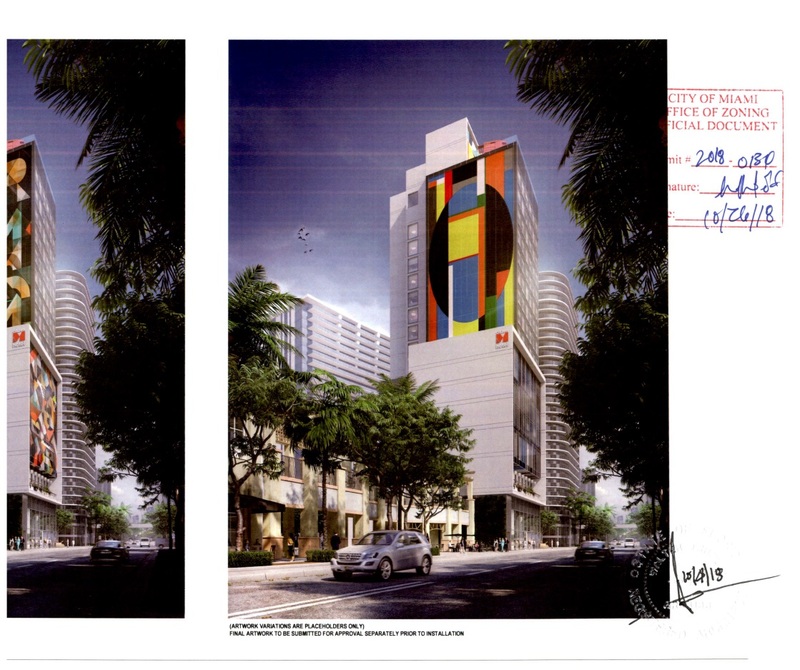 CitizenM Hotels recently won approval to build a hotel at the Perricone’s Market property in Brickell. Now, those plans are being revealed for the first time, along with a list of the waivers and conditions of approval. 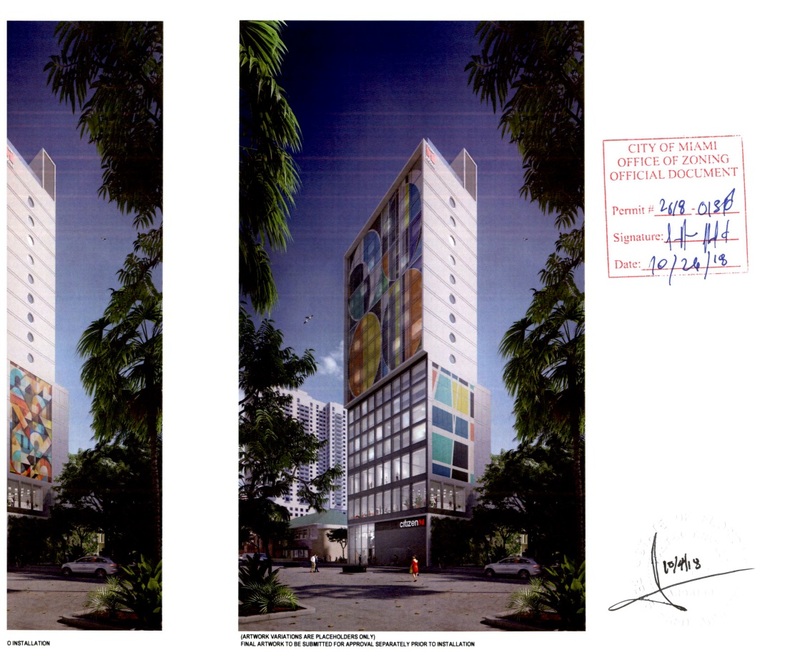 Gensler is the architect of record for the hotel, city documents state. 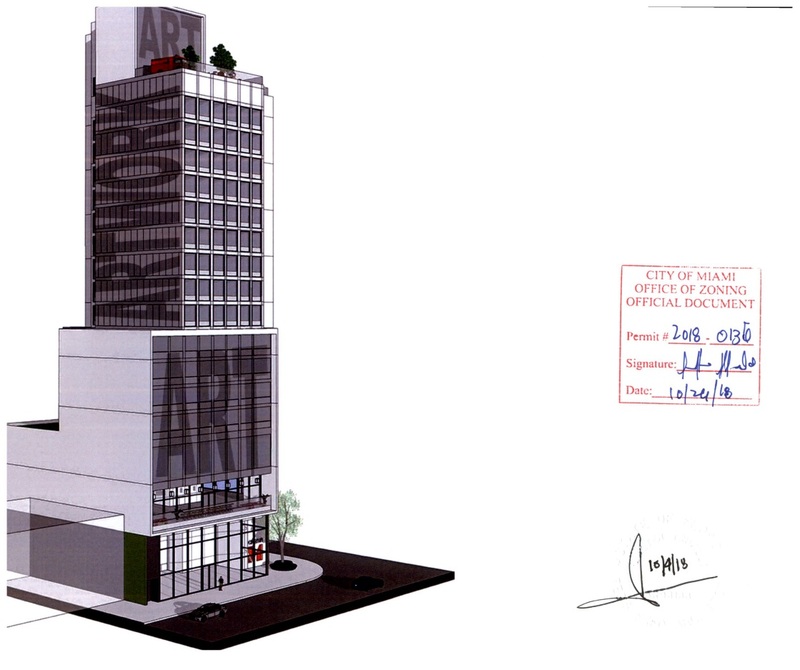 The proposal calls for a 21-story, 277-foot tower with 252 lodging units and 4,174 square feet of commercial space at the ground level. 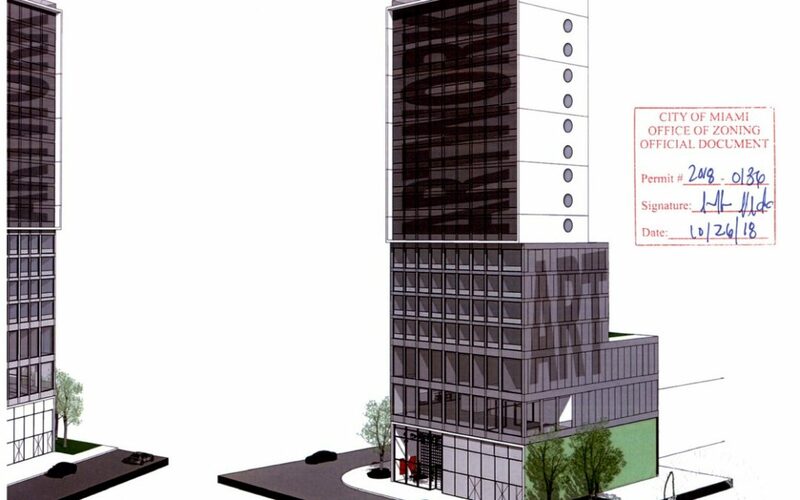 Hotel rooms will be micro-sized, starting at just 157 square feet. Several setback waivers were granted. 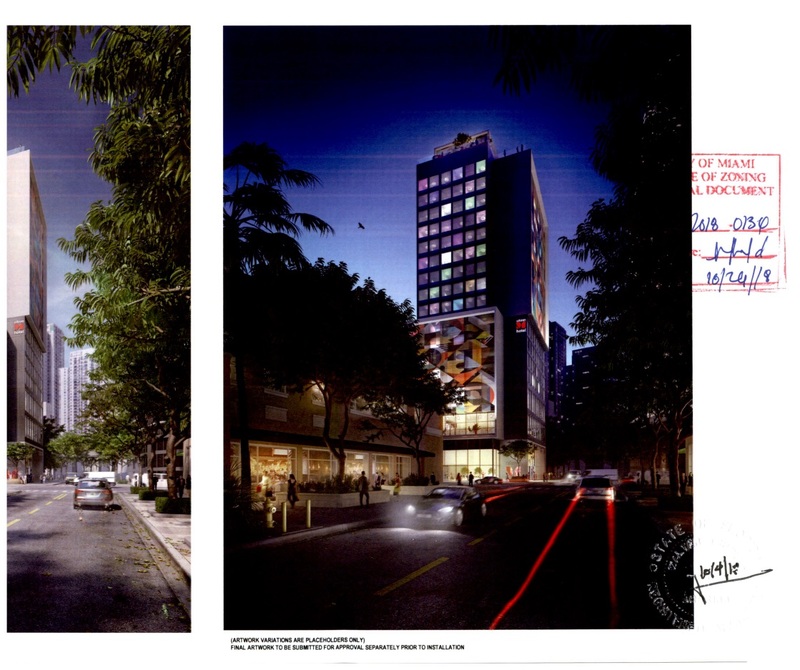 A 30 percent reduction in parking has also been permitted, due to the proximity of transit. Yet another waiver allows for parking to be provided offsite. Perricones will remain open at the site longer than originally expected. 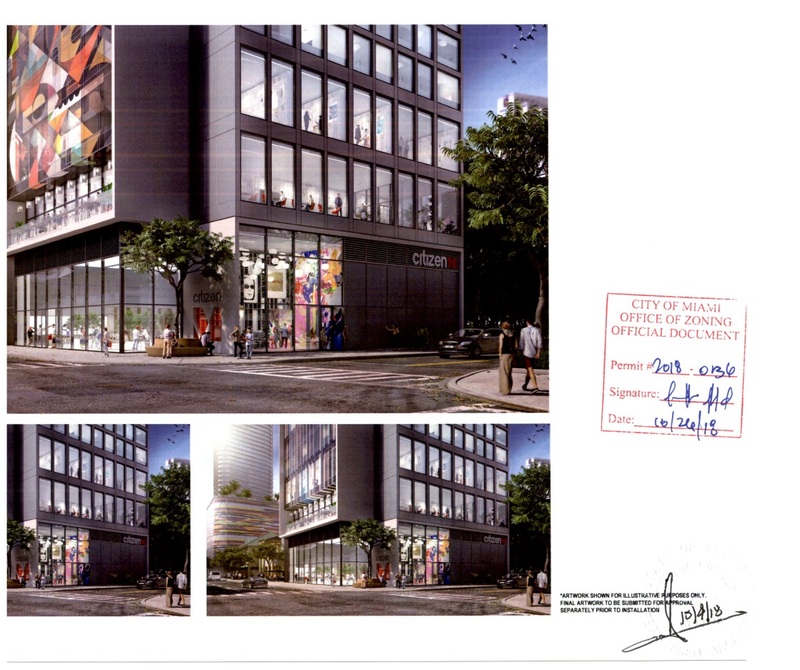 CitizenM will allow the restaurant to stay through at least February, as they work to finish the permitting and pre-construction process, according to a social media post.